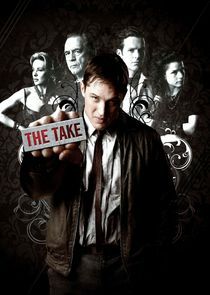 The Take is a four episode British drama TV series on Sky 1 based upon the Martina Cole novel. Shooting for the show took place in Dublin. The show premiered on 17 June 2009 and stars Tom Hardy, Brian Cox, Hayley Angel Holt, Shaun Evans, Kierston Wareing, and Charlotte Riley. The show received critical acclaim, mainly for Tom Hardy's portrayal of criminal sociopath Freddie Jackson.